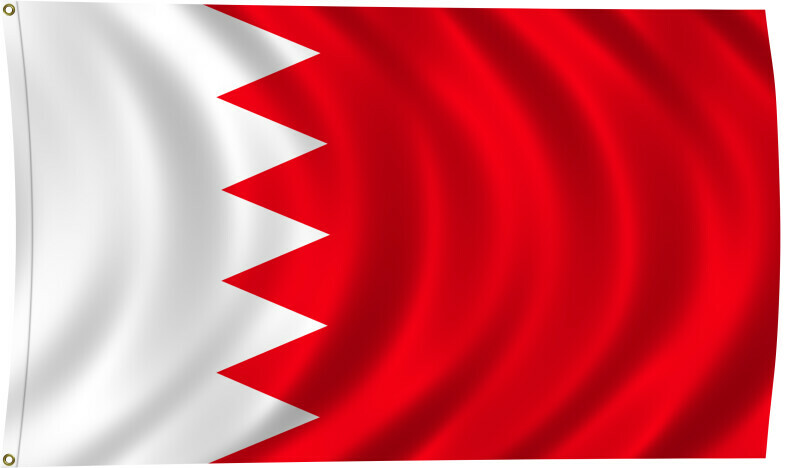 Color flag of Bahrain. Red, the traditional color for flags of Persian Gulf states, with a white serrated band (five white points) on the hoist side; the five points represent the five pillars of Islam. Flat color and black/white versions of world flags are available on the Clipart ETC website.